On somewhat of a somber Friday as a good chunk of my province is on fire in one of the driest Springs in my short time on earth. The fire took out a good chunk of Fort McMurray and is now heading south expecting to double in size by tomorrow. 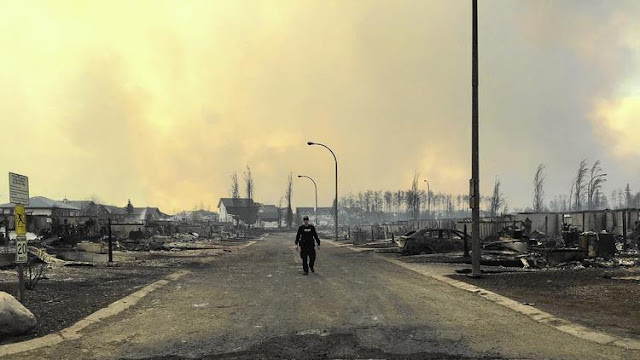 Thousands of Albertan's have evacuated with many of them losing everything they own. If for some reason you have been living on the space station and have not heard of this, please donate as there are lots of people in trouble right now. With lots already hurting as they have had no work due to low oil prices. Please donate to the Red Cross. The federal government is matching what we raise.